If you are the type that consumes up to 1GB in a week or you want to get 4GB for N1000 then this is for you.Do not continue of you don’t use up 1GB in a week. So like i said. it for the data lovers. Dial *406# to migrate to MTN Pulse, if you have not migrated. Dial *131# to do a data subscription. On the available option choose Buy a data plan. Follow On screen Instruction to complete your subscription or purchase. So basically when you are on MTN Pulse you will be given 1GB instead of the regular 750MB you saw while subscribing. And using a smartphone gives you double your data subscription for 6 months. CONS: You have a week to use it up.. But when you rollover your subscription, i.e repeating the same process before your sub deadline or expiry. You will push A week more. To enjoy this very well, finish up your data before expiry. 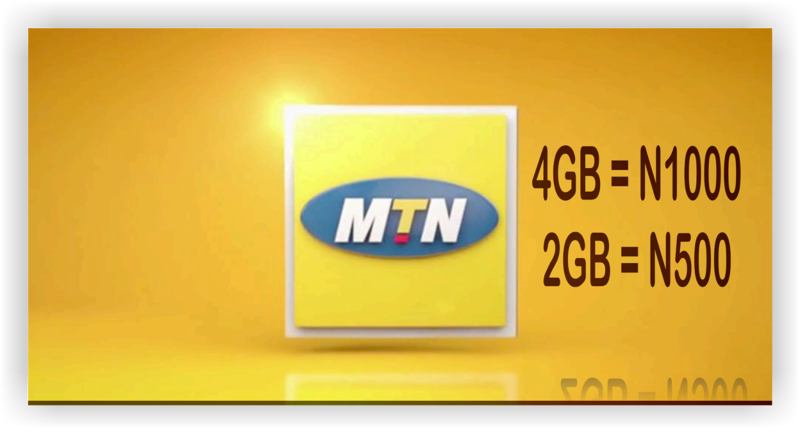 PROS:You get 2GB for N500 i.e 4GB for 1000. Data lovers will definitely see this as the best thing ever. This trick even worked with my Nokia torch.